Preheat oven to 350 F. Use the butter the coat the inside of a 12- cup Bundt or fluted cake pan. Sprinkle the bread crumbs over the butter and swirl to coat evenly. Use a stand mixer with the paddle attachment to mix the yolks and powdered sugar on medium for about 2 minutes, or until it looks a deep creamy yellow. Mix in the lemon juice and zest and the almond extract. Lower the speed and add the potato starch. Mix until fully incorporated, about 2 to 3 minutes. Pour batter into a large bowl and set aside. Wash and dry the mixer bowl. Using the mixer's whisk attachment, beat the egg whites on high until the form firm peaks, about 3 minutes. Use a spatula or large spoon to gently fold about a quarter of the egg whites into the batter. Mix in the ground almonds. Fold in the remaining egg whites, being careful not to overmix. Transfer the batter to the prepared pan. Bake for 30 minutes, or until a toothpick inserted comes out clean. Cool in the cake in the pan for 5 minutes, or until the sides start to pull away. Invert the cake onto a cooling rack and cool completely. Copyright C 2008 Deseret News Publishing Co. Here are the dishes your mother used to make, from the cookbook your grandmother brought over from the old country. 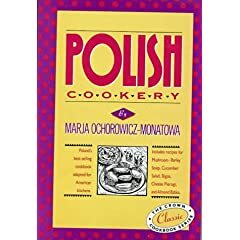 Crown's Classic Cookbook series features a collection of the world's best-loved foreign cookbooks, specially adapted for use in American kitchens. Authentic and comprehensive, these reasonably priced books are a welcome addition to the culinary library of any cook. Dualit Mini-Chopper on sale at sears website for only $45.99. Save 50% off until 4/4! Food Preparation Essential - save 50% off! Click here! Anolon SureGrip bakeware is designed to make baking more efficient, safer and easier while standing up to the rigors of serious baking aficionados.